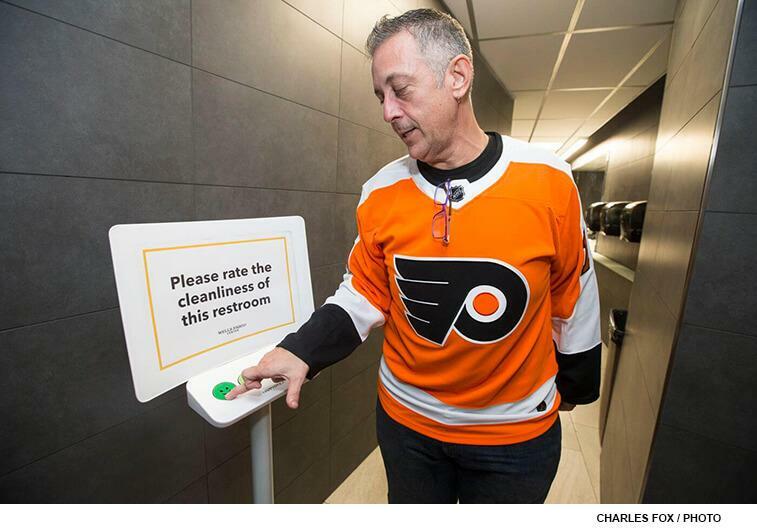 Fans will be able to provide instant experience feedback through the innovative HappyOrNot Smiley Terminals to be installed for the 2018-19 season at Wells Fargo Center. The Wells Fargo Center is set to become the first NBA/NHL arena in the country to install the HappyOrNot customer feedback devices and reporting. 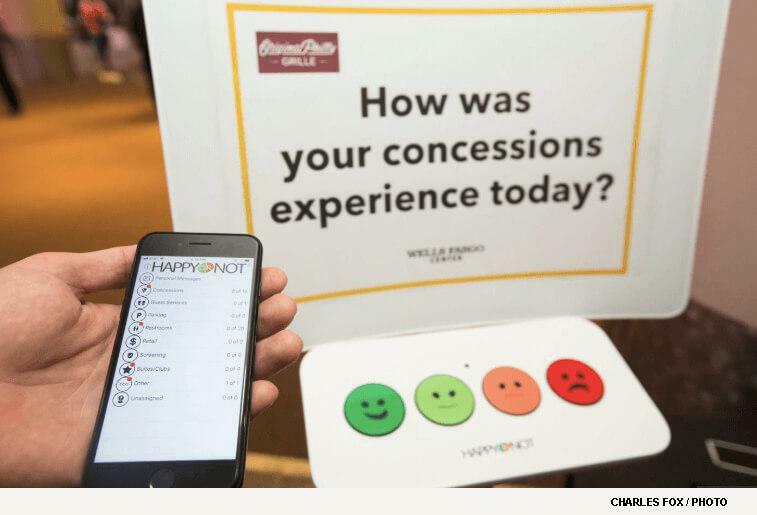 The near real-time feedback terminals allow fans to communicate their level of satisfaction with restrooms and concessions at Wells Fargo Center with the push of a smiley face button. 75 fan feedback terminals will be installed on all major concourses throughout the arena. The Wells Fargo Center is the first NBA/NHL arena in the country to roll out this new guest experience initiative. The HappyOrNot kiosks capture on average 20% of entire footfall instantly and anonymously. Real-time updates and alerts are sent through the HappyOrNot app, which allows Wells Fargo Center staff to react to issues immediately during an event. HappyOrNot was founded by Heikki Väänänen and Ville Levaniemi, and has more than 4,000 clients in 117 countries. Its clients include Microsoft, McDonald’s, London’s Heathrow Airport and Levi’s Stadium. HappyOrNot is considered the global leader in instant customer and employee satisfaction reporting. Companies are able to improve their customer experience, relationships and fan engagement using the data collected from the terminals. New state of the art sound system featuring a complete replacement of the arena bowl speaker clusters, next-generation amplifiers, new mixing equipment and software delivering improved range, enhanced sound clarity and optimized balancing throughout the venue. Headquartered in Philadelphia, Comcast Spectacor owns and operates the Wells Fargo Center arena and complex, as well as a portfolio of professional sports teams that includes the National Hockey League’s Philadelphia Flyers, the Overwatch League’s Philadelphia Fusion, the National Lacrosse League’s Philadelphia Wings and the Maine Mariners of the ECHL. HappyOrNot is the global leader in instant customer and employee satisfaction reporting. Our innovative feedback collecting smileys and intelligent data analytics reporting service help our clients to improve their customer experience, relationships, and employee engagement.